We carry a wide variety of loose faceted and cabochon gemstones and high quality gemstone beads. View our gallery for examples of products, then contact us to order! 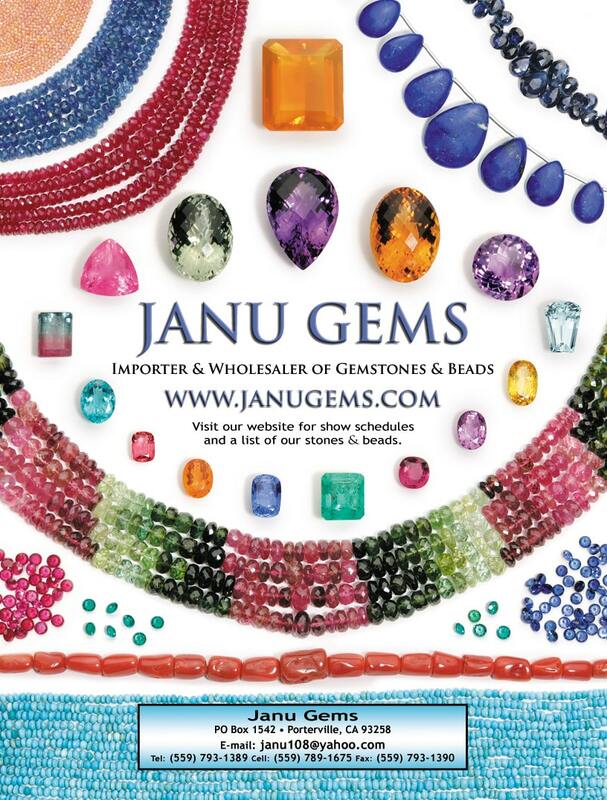 If you are a shop owner and would like to offer Janu Gems trunk shows, please inquire and we will be happy to work with you. Want to see our gemstones in person? Visit out events calendar to see when we’ll be in your area! Janu Gems is a collaborator with jewelry design and fabrication institutions training the future generation of jewelers. If your institution is in need of resources for the students to acquire raw materials (natural loose gemstones – faceted and cabochon etc) for their jewelry projects, we can schedule an on site special presentation and wholesale supply opportunities. Trunk shows are available for shops that would like to host Janu Gems shows. There are two types of trunk shows. One with a scheduled date for the full range of our inventory to be present in your store for 2-3 days. Two, the availability of select inventory to be sent in a couple boxes to the store, displayed for 10-14 days and returned to a specified address on a specific date. Please inquire for full details and we will be happy to work with you. Schedule a Video Conference to see the Gemstones and Beads! All sales purchased through the video chat appointments are fully returnable for 100% cash refund within 10 days of receiving the merchandise. Our policy is that a sale of precious gemstones, beads and jewelry needs to be seen in person to completely satisfy the buyers expectations.